Cloud milking, scientifically known as occult precipitation or cloud water is precipitation that cannot be measured with a standard rain gauge. It is, for example, the condensation of mist and fog on foliage. The vegetation captures the humidity which would normally remain suspended in the air during collision. This phenomenon can only occur when it is windy or the air moves. Hence the natural barrier created by the vegetation helps aggregate the small water droplets into larger ones. Once large enough these water drops then fall onto the grounds. 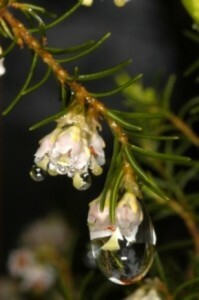 Droplets of occult precipitation in tree heath – Erica arborea – Photograph: Miguel Sequeira. 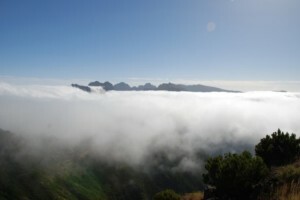 Madeira is the perfect place to witness cloud milking since all three necessary elements are present: wind, vegetation and fog or clouds. 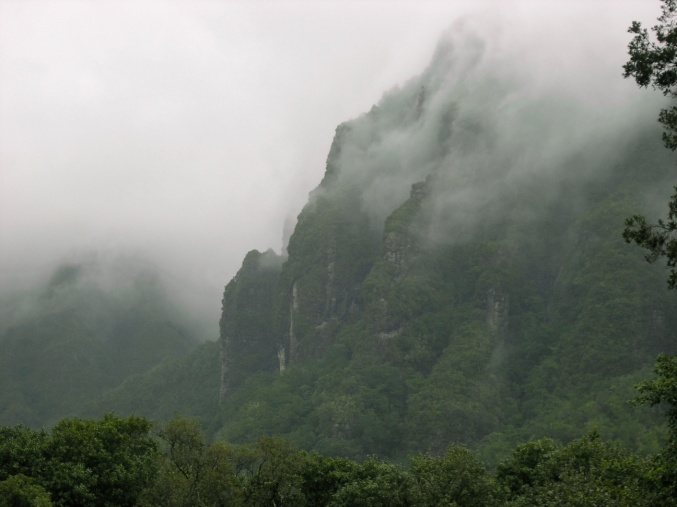 In the absence of vegetation, the cloud and fog water would not precipitate to the soil in the same quantities. Horizontal or occult precipitation happens in the higher altitudes, specifically between 800 and 1600m. Various studies show that occult precipitation account for an amount as large as 8% of rainfall. This percentage rises even further, up to 33%, during the dryer months. 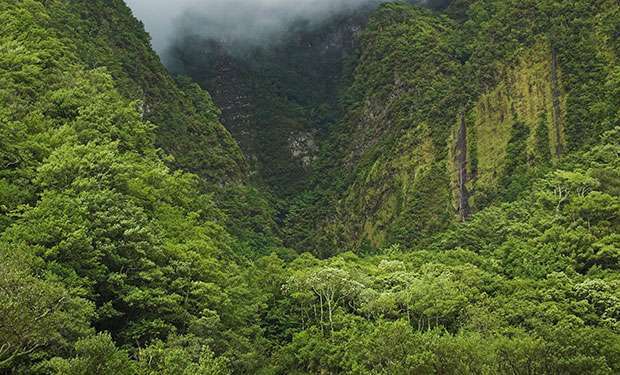 Madeira’s Laurisilva, recognized as UNESCO world heritage in 1999, composes most of the vegetation in the higher altitudes. The Laurisilva Forest thus plays an important role in the island’s water resources. 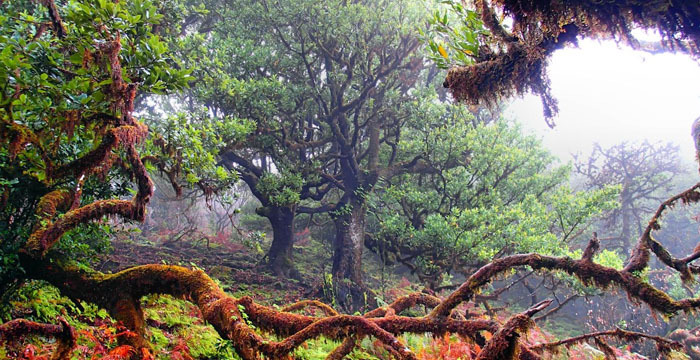 Laurissilva forests immersed in fog in the north slope of Madeira.